MOSCOW, October 14. /TASS/. Moscow strongly rejects any attempt to accuse it of involvement in an alleged state coup in Montenegro in 2016 as ‘groundless’ and ‘absurd,’ the Russian Foreign Ministry said, commenting on recent statements by Montenegro Chief Special Prosecutor Milivoje Katnic. "Apparently, Montenegro Chief Special Prosecutor Katnic has decided to join the competition for the most absurd accusation ever put forward against Russia. For two years, this Montenegrin justice official has been actively searching for ‘irrefutable evidence’ of the so-called attempted state coup in Podgorica in October 2016, in which agents of [Russia’s military intelligence] GRU have allegedly taken part," the ministry said in a statement. 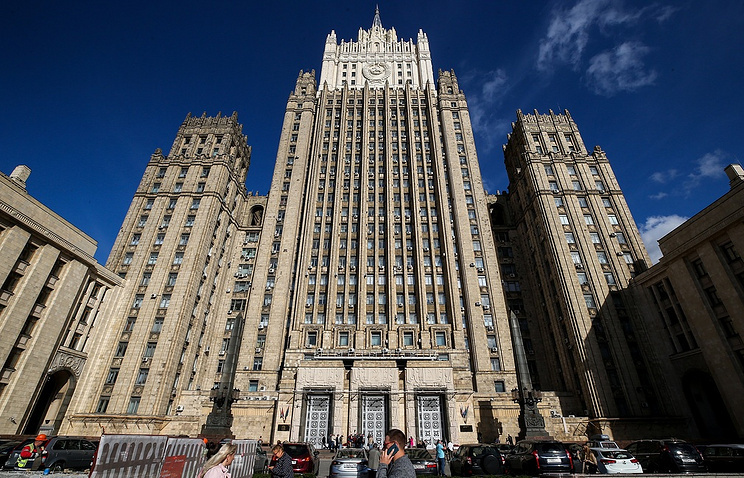 "As we have repeatedly said, the Russian side strongly rejects any possibility of official involvement in those imaginary attempts to stage an illegal act, and believes that such accusations are groundless and absurd," it said. According to the statement, during the trial currently underway in Montenegro, the defense team presented the Russian Foreign Ministry’s response about the alleged stay in Moscow by one of the prosecutor’s key witnesses. Katnic responded by saying that this document was created by the GRU "with an aim to poison members of the trial" and "demanded that it be taken for a chemical examination in an apparent attempt to find traces of the notorious Novichok agent," the statement reads. "This conduct by the chief special prosecutor clearly illustrates the sad state of affairs in Montenegro’s judicial branch," the Russian Foreign Ministry said. In November 2016, Katnic claimed that a group of residents of Serbia, Montenegro and Russia had tried to carry out a terrorist attack on the country’s territory on October 16. In total, 20 people were detained. Most of them entered a plea deal and were sentenced to between three and five months in prison. As part of the investigation, Montenegro accused two citizens of Russia - Eduard Shirokov and Vladimir Popov - of financing an attempted coup and plotting to assassinate Montenegrin President Milo Dukanovic.